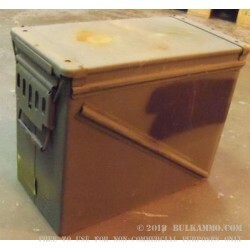 Our 30mm Ammo cans are one of the best possible solutions to a disorganized gun cabinet or reloading bench. 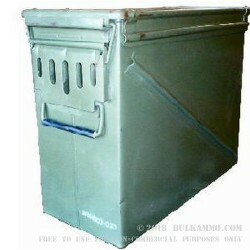 They are extremely useful for many of the items that need storing when they’re not in use. These 30mm cans can be used to store all sorts of things like scopes, Night vision, parts, uppers and lowers, and of course... ammo. With their dimensions being a massive 18.5" inches by 14.5" inches by 9.5" inches, it’s easy to see why so many folks in the firearms community use ammo cans for all sorts of storage possibilities. The lids can be removed fully by unlatching both sides. 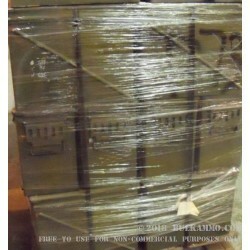 These may seem large at first, but if you think of how easy it is to store all of your boxes of a particular caliber in just one can, you start to see why these are so amazingly popular. These are 100% made of steel and come with the usual USA OD Green coating, and a nice rubber sealed top. 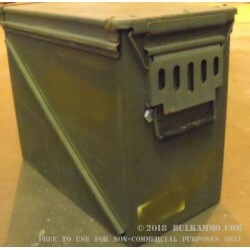 These ammo cans are the perfect options for your gear, and can also be kept in a closet, in a larger safe, multiple rooms in your house, or even in the back of your car or truck. 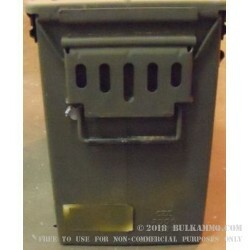 Grab yourself a couple cans today and start to organize all your ammo, firearms, gear, and tools. Don't wait until your over-loaded with gear and have no where to put it. Start now.